The Iftar dinner took place on July 21st, 2013 at Turkuaz restaurant in New York City and it was a great success.Thanks to the great Iftar host committee that pulled it together and the amazing friends that made it happened by being present. We were stunned by the overwhelming response we received. Different faiths were present, different races, different ages and even mayoral candidate John C. Liu came. They all made the effort to come from near and far just to be present on a Sunday night. We shared a lovely iftar dinner together, laughed, were moved by the heartbreaking story of a survivor, the words of a youth member, and the warm and inspiring speech of Robina Niaz. Like a big family, we were all together standing against domestic violence in New York muslim community. And that is the only way we can all participate in the change we want to see in this world. Together, like a big FAMILY, for a happy, safe, honorable, peaceful, and dignified life for everyone.. Every woman, every man, every child. Often we believe that we are too small to change anything, don’t have enough to help, or just don’t know how to do it. Just get involved, act, and support a cause that speaks to your heart. Give back: money, skills, time, kind words or just a sincere hug. Thanks again for your participation, your support and your love for Turning Point for Women and Families. See you next year, Inch’Allah / God willing, in a bigger venue for our growing family. 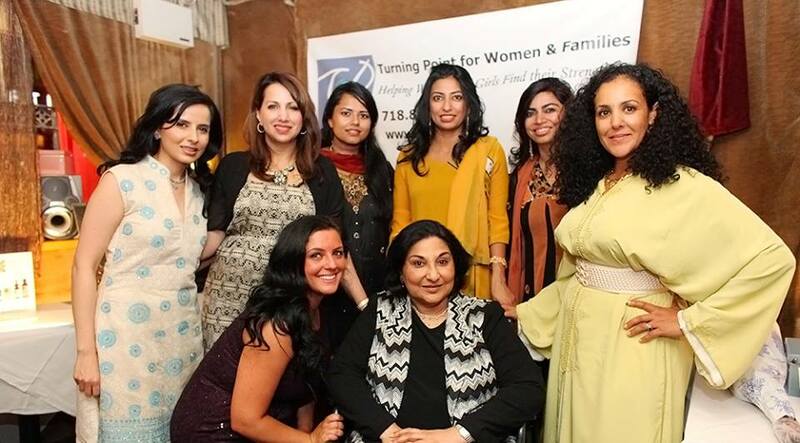 Turning Point for Women and Families is a grassroots, community-based organization in Queens addressing the needs of Muslim women and children through crisis intervention, counseling, advocacy, outreach, education and training, particularly in the area of domestic violence. It offers culturally competent services to respond to the wide gap between needs and programs available to this community. This year I was part of the Iftar host committee and KENZA International Beauty was honored to donate packages of our KENZA “be generously beautiful”™ skin & hair care line. We are honored to partner with Turning Point for Women and Families. We will offer all friends of Turning Point a 5% discount on all our products and we will give back 10% or our net profits to stand against domestic violence in New York City. KENZA International Beauty is a corporate social enterprise providing Pure Moroccan Beauty Oils and supports social change for women in the US & Morocco. This entry was posted in Pure Moroccan Beauty Oils and tagged "be generously beautiful", fundraising, Iftar, KENZA International Beauty, khadija fajry, new york, nyc, Ramadan, Robina Niaz, social change for women in the US and Morocco, stop domestic violence, Support Social Change for Women, Turning Point for Women and Families. Bookmark the permalink.